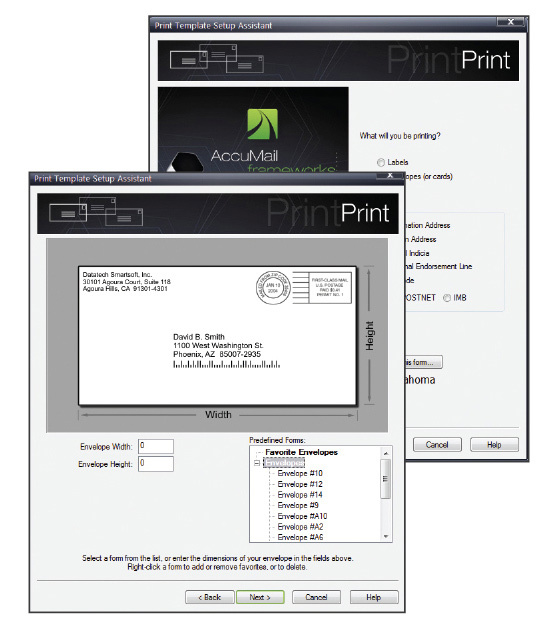 AccuMail frameworks is also available in a Mailers Edition, which includes the AccuMail ProSort module, providing a fully-featured, PAVE Certified mailing software solution. AccuMail frameworks Mailers Edition is designed to make each mailing as easy and efficient as possible, saving you time and maximizing your postal discounts. Our new Mailing Assistant makes mailing easy! 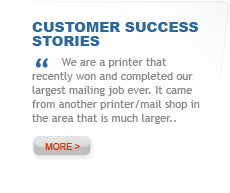 In just three simple steps you can process your mail job from set up to printing, saving you valuable time and money. Hit Finish and you're now ready to print! It's as easy as that - why not request a demo and find out for yourself! 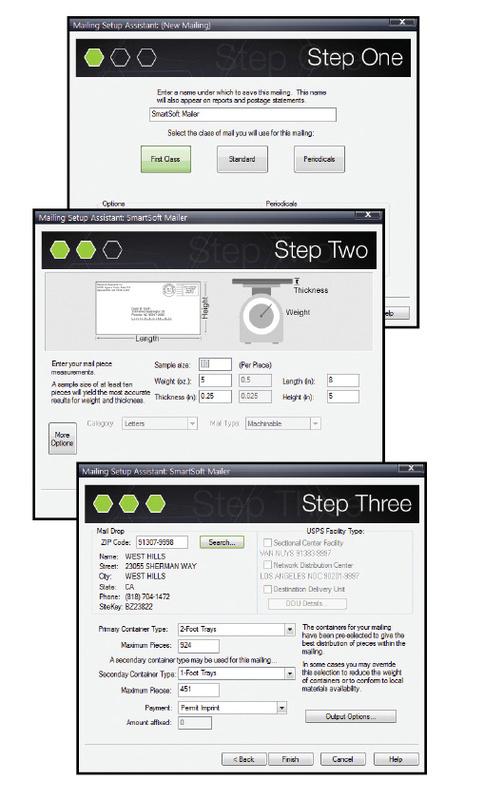 Produces all required postal reports and documentation, including Form 3553, Qualification Reports, Postage Statements, and barcoded sack and tray labels. 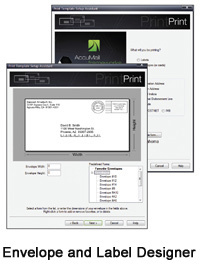 An intuitive print and label assistant makes designing your mailpieces easy! Select from a wide variety of predefined formats, or create your own designs. View and edit your layouts, add elements such as OELs, barcodes, indicias and more to your designs, and save your designs as templates to use again. Support for both Basic and Full Service versions of the Intelligent Mail barcode. Our optional Full Service package includes the Mail.dat module. 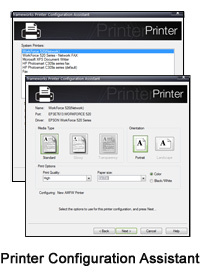 Manage your settings for each of your printers from within the AccuMail frameworks interface. Select your Media Type, Print Quality, Paper Size, Color Settings and more. Save your settings for future use so you can process your jobs faster, without having to leave AccuMail frameworks. 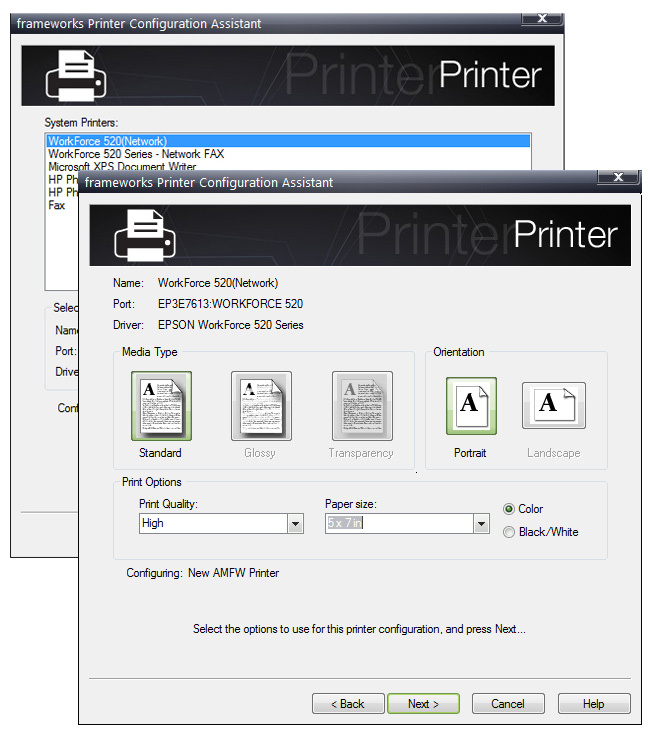 AccuMail frameworks Mailers Edition is fully compatible with all printers that run Windows print drivers. An optional feature, AccuMail Move utilizes NCOALink and ANKLink data from the USPS to update the addresses of movers in your mailing list. AccuMail frameworks also includes electronic PAF Registration, for more efficient move update account management. SWITCH 'N' SAVE WITH ACCUMAIL! Already have a current PAVE Certified software subscription? We'll help you SWITCH by giving you up to 4 months FREE, based on the remaining length of your subscription. So why wait? Get started with AccuMail frameworks and start saving today!